You can find the bikes we sell in other bike shops. So why buy from us? 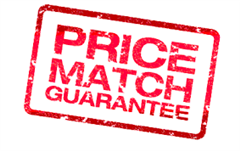 First of all, let us mention we offer a Price Match Guarantee. While other shops often prefer to sell only what’s on hand, we are committed to your total satisfaction. We will not try to put you on a bike that won’t suit your needs. If you’re not sure what you want, we will ask questions about what you're looking for so we can make the right recommendation. Our goal is to help you select the bike that will truly work for you or whoever your buying for. We make sure you are comfortable on every bike, every time. We will not try to put you on a bike that won’t fit you. How? Simple…. We put you on the right-sized bike in the first place, adjustments being made to the seat, the pedals, and the handlebar. And if you want to upgrade some things when you buy we can also fit them for you. This means your bike will be exactly as you want it. But most importantly, you feel right, every ride. We stand behind your bike after the sale. You’ll get a free service after you’ve put some miles on your new bike normally within 6-8 weeks. We’ll also take care of you by handling minor adjustments during your first year of ownership. Raleigh, Diamondback, Haibike all come with 18 months warrenty and free service at 12 months and 18 months. Lifetime warrenty on the frames.